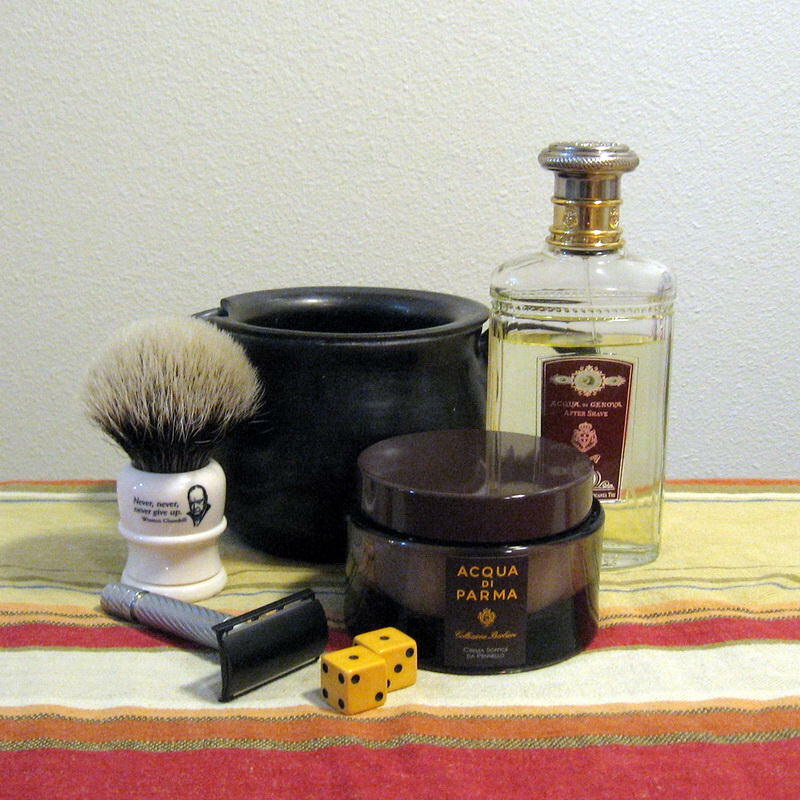 This was the second day of my comparison of original Acqua di Parma Colonia with modern Acqua di Parma soap, using the latter today. The soap is white and less translucent than the original. It lathered easily, producing rich, thick lather. The fragrance was significantly less bright and less complex than that of the original. This lather had a light cooling effect, which the original did not have yesterday. Cushion and glide were equivalent, as was the excellent skin moisturizing. So on initial use, the most notable difference was the fragrance. Tomorrow I will use the original version again.